According to zinfos974 (published on Sept 24), the following information was reported by ‘Radio Freedom’ and later confirmed by François Boulangier, who is the captain of the Fire Department in Saint-Paul. As part of the underwater search for the remains of the shark attack victim Mathieu Schiller, two divers were „charged“ by what was reported to be a ‘4 metres long bull shark’. Yet they were equipped with a „shark shield“, an electronic device to repel sharks within a radius of at least 5 metres. But zinfos974 is quoting Mr. Boulangier: „The specimen [bull shark] did not appear to be disturbed by the Shark Shield“. As a consequence of this close shark encounter, the underwater searches for the victim have been interrupted. „The head of the firefighter unit did not take any risks to the safety of his men“, said François Boulangier. 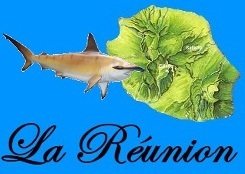 Another source (clicanoo, published on Sept 25 ) is revealing more details about the forthcoming anti-shark measures in Reunion. According to an inside source at the local prefecture, two professional fishing boats have been chartered to carry out a shark fishing operation in the areas affected by the latest attacks. The aim of the operation is to ‘remove’ about a dozen potentially dangerous sharks, mainly tiger sharks and bull sharks. Then the carcasses should be landed in a port in the west coast where veterinarians will conduct an examination of each specimen. The IRD has announced plans to establish an acoustic monitoring system to observe the movement and distribution of the sharks in the area.